Wow can you believe it, only 3 sleeps left until my daughters are back in school AND until my roll out of new services. I also will be announcing the new blog posting schedule that will include 1) a new post called “Featured Stamper of the Week” showcasing their talent and skills 2) weekly Video release, 3) Weekly challenge, 4) Sharing the Sudsol Scrapbook Challenge with you and also I am thinking of doing a ‘blog finds’ day as well. 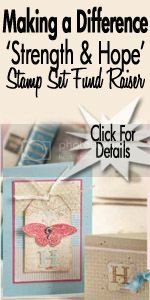 If you want to participate in the ‘Featured Stamper of the Week’ or be considered for the ‘blog finds’ day please contact me at teresa@thescrappinmama.com. I am really excited about all of these changes, I hope you are too. That’s right, the final countdown has started for my new roll out of services that I will be offering to you. As you might have already noticed, I have started with a new blog banner with my new name, ‘The Scrappin’ Mama Studios’ though my web address and email address will still stay the same. Starting September 1st ,every day I will be posting a new and exciting services, that I hope will make life a little easier for you, saving you time and money. I know I can certainly appreciate that!!! Be sure to sign up for my newsletter as there will be extra surprises there during my roll out. So I am off to finish organizing that and have an awesome day! 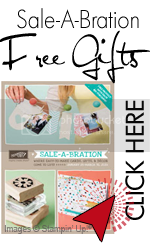 De-Stress with the distressing kit from Stampin’ Up! So what I did is I took a piece of cardstock of the new ‘In Color’ in Pool Party and took it to the big box store and had it color matched. brought it home and painted my box with it. I got the paint that already had the primer in (which I love to use) and then I let it cure overnight. Now I realize I will need a new sanding block but I used the one in our distressing kit and sanded around the edges and in other spots so it would have a distressed look. In our kit we have several different ink spots specific for this purpose and I used the mahogany spot. I rubbed it everywhere on the box. Here is a important trick to it though—make sure that you have a wet rag to wipe off the access; then let it dry and put everything back together. I was done after that and I loooooooooooooove how it turned out. I hope you do too!!!! Now I just need to add some things into it but I like it so much, I don’t know where to put it in my house. My craft room is in the basement and therefore won’t be seen, so if I were to put my tools and stuff in there where could I put it in my living room without my husband feeling my crafting stuff is creeping back up here. Leave me a comment with your suggestions, I would GREATLY appreciate it! We attended a wedding that Saturday afternoon representing the Church we attend. The minister was getting married and it was a beautiful wedding. Can you believe it, we are about half way through the month of August and I am counting down the days until school starts up again. I love my kids but when they start getting on each other’s nerves—there goes mine! LOL. But that means the Summer Mini will be coming to an end so click on the catty and order those things you want. On Monday I will be sharing with you some of my favourites from the Summer Mini. And if you are in a really generous mood, why don’t you support a cause with this promotion. What I did here is grabbed some driftwood from British Columbia, some shells, SU Cherry Cobbler Bakers Twine, and again my wonderful ‘My Digital Studio’ to do this project. We don’t have a head stone yet so this will have to do. Well I hope you have a great weekend and thanks for letting me share my life with you! This is just a quick note to say hi and I think about all of you often! 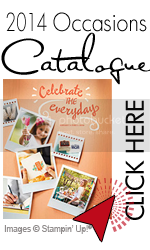 With all of the drama going on this year I had let you know that I had to make some changes in my life and one of them was my partnership with Stampin’ Up! I had stated it had nothing to do with the company it was issues in my life. Things have not really changed in that department but I have been thinking about the ways my business was going and what changes, if any, I were going to make. I am excited to share that I have made some decisions in that department and will be making that announcement in the next few weeks. All I will say is that it will be a more service orientated business, especially for those of you who don’t have a lot of time. So please hang in there, I will be making updates to my blog and sharing with you those new services to you. I will talk to you soon! !